"Yoga Teacher Training for Body Mind Soul"
Official International Yoga Day is Declared to be held on 21st June of Every Year from 2015 by UN General Assembly. Every Country has Stepped Forward to Celebrate it and you should too.Therefore, the World Needs More skilled Yoga Teachers and Yoga Marg is Better Option for Yoga Teacher Training in India. 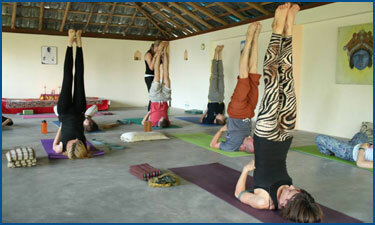 It’s a good question that why people should opt for Yoga Marg to learn yoga. and it has a good answer too- At Yoga Marg, we all are family in spite of our country, religion, language and other differences. We don’t just give yoga training for commercial purposes (although we charge fees for training) but we see ourselves as social worker because we are serving the society in the most efficient way we can.We are contributing to human’s present and future in the best possible way by spreading yoga everywhere. We don’t need to tell yoga’s benefits because almost every other person knows about it and also what. Shail is the ERYT 200 yoga teacher and certified with Yoga alliance USA. 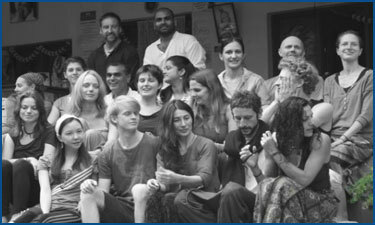 Our yoga school is not an organization or institute, it consists of all the qualities of a real family and this applies to our yoga faculty too. Shail is the Man of Pure Dedication and also he is the one who mostly influence the feeling of family around everyone. 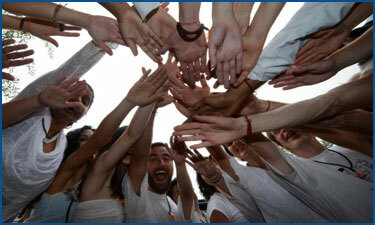 Yoga Faculty has always believed in the guidance of family by its guardians and elders. Shail has started his yoga journey at the mere age of 16 His interest and aspiration towards yoga has differentiated him from everyone whose life purposes are to live in material world. 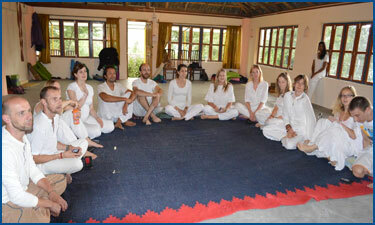 Our Yoga school is located in lower Dharamkot (village) just above Dharamsala and McLeod Ganj. Far-far away from cities and their noises.Our school has almost all the yoga courses in India with very professional yoga teachers teaching in Dharamsala, this branch of our Yoga school franchise. We call it YOGA MARG meaning ‘Path of Yoga’. You can learn yoga and pranayam in the most natural environment and this whole experience can change your views on life and it is our guarantee that you will never forget about this visit in your whole life.We don’t need to tell that what yoga can do or what are its magic because it will take a couple of books to tell and still this will be not enough. So, this topic should be left for now.Coming again to the topic, Yoga Marg is every hygienic be it hall or individual rooms. There are lots of activities that are conduct in the free time for bringing more spirituality and relaxation to everyone. 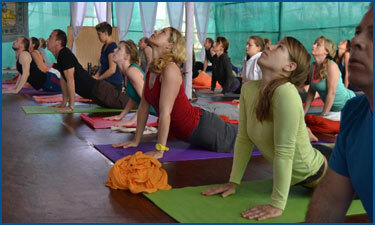 And one more important thing is that we have best yoga teachers training in India. Rishikesh is the “World Capital of Yoga”, although it is an unofficial tag but no place can take this tag from Rishikesh. ‘Yoga and Rishikesh’ these are the two words that can’t be separated from each other.Lord Shiva himself revealed to saints about yoga so, its origin is related to Hindu religion. It is a pure science which we sometime thought is nothing less than magic. Rishikesh is the place where many saints and gurus has meditated in the previous time, even today you can see saints meditating and wandering on the roads of Rishikesh. This city’s name is written in Gold in the history of yoga and meditation. The old, sacred and 100s of year old temples, Himalayas with the holy Ganges flowing make Rishikesh a magical place to learn yoga. These words are not just in saying, but you will feel the same when you will experience all of this.In Rishikesh, yoga is fast becoming business and there is also a downfall in quality of ashrams and yoga centers. Now you don’t feel that visiting Rishikesh and taking yoga course. 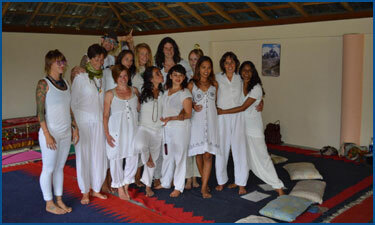 We don’t only teach yoga and pranayam but we always try to change the way you view and live your life. We wanted to help everyone who come to us with everything we have. We charge fees from you but at the same time we give you something which is very unique and priceless- Yoga. We bring you peace, healthy body, opening your mind completely and give the power and energy to do everything right and take right decisions, all of this at a same time. We guarantee that after some days you wouldn’t want to go from here at any cost because of all the things we are offering you. In Goa, our yoga school/resort is spread over 5 acres of land near the beach providing you the option of doing yoga on an exotic beach and creating new experience. Our students loves us and we love them back. We have beautiful cottages for your residing with furnished room which are maintained in a simple luxury inspired by traditional yogis, all the cottages have toilets and bathroom with 24/7 hot water supply.